We want to be sure we grasp the relationship of clients to servers, and have a shared vocabulary of terms. is the interaction between two programs when they communicate across a network. A program at one site sends a request to a program at another site and awaits a response. The requesting program is the client. Assuming we are using our laptops as a client, we might want to know how laptops work. The program satisfying the request is the server. Assuming we want to retrieve something from a server over the web, we might want to know how web servers work. It's good to be cognizant of the relationship of memory to storage, and the specific meaning of each term. What are operating systems? 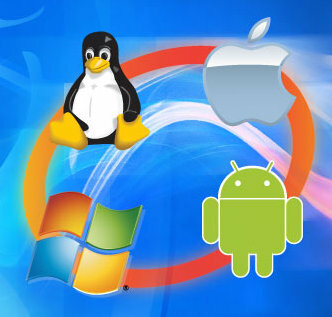 We are familiar with Windows and Apple on our clients, but Linux and Android are starting to become challengers. Wikipedia lists lots and lots of operating systems. 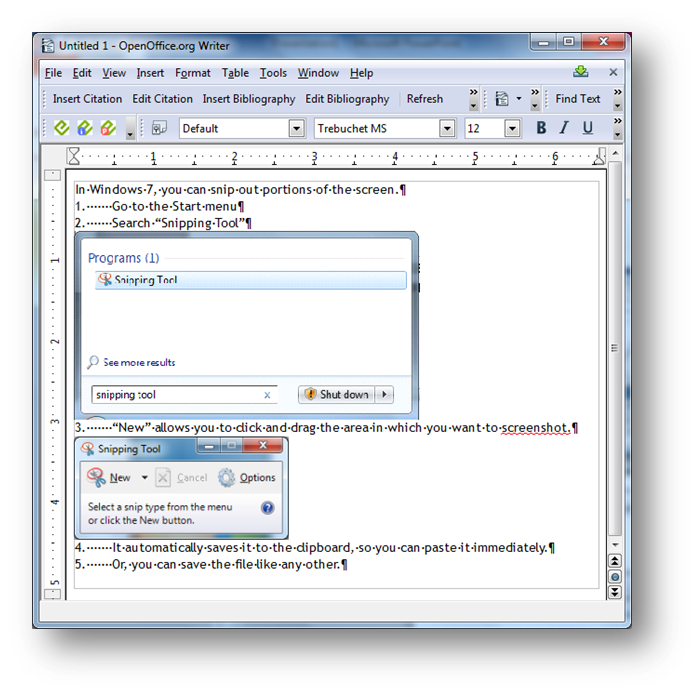 Learn how to use the screen capture tool. If you want to capture the entire screen, press the Print Screen button and an image of the screen will be saved to your clipboard. If you want to capture the active window, press the ALT button + the Print Screen button and an image of the active window screen will be saved to your clipboard. If you want to trim a portion of the screen, find the Snip tool, pick the area you want to snip, and an image will be saved to your clipboard. We will use Windows computers at the instructor desk. On occasion, the interface in Windows will not match the interface in a Mac. While we will try to have examples for all operating systems, it will be useful if, when you find that the Mac view is different, that you take a screenshot of the Mac environment and send it to the instructor. 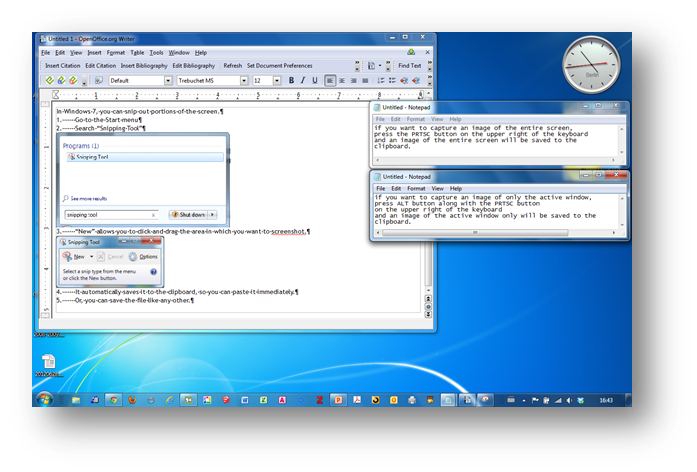 The instructor will ensure that the Mac screenshot is integrated into the class pages pertaining to the situation in which the screenshot was taken.